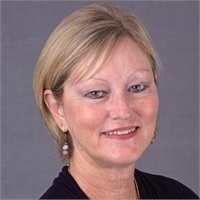 Kathleen Bishop | Cowan Financial Group, Inc.
Kathleen is licensed as a General Securities Principal, Municipal Securities Principal, General Securities Representative, and Investment Advisor Representative. In addition, she is licensed to transact Life, Health, Variable Annuity, and Long Term Care classes of insurance. Kathleen has been in the insurance and financial services industry for over 25 years. She currently acts as an OSJ Designee to assist in supervising the 25+ representatives that are under CFG's Division. 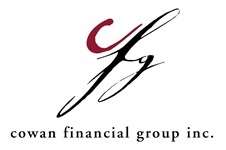 Kathleen joined Cowan Financial Group in 1989, as an Administrative Assistant to the Chairman and CEO. In 2008, she was elected President and Chief Operating Officer of Cowan Financial Group. Kathleen is also currently a Senior Advisor in the firm. Kathleen enjoys working with her clients and believes that you need to take a holistic approach to each client's specific needs. "Every client does not have the same lifetime goals or visions that they want to accomplish. I believe you need to analyze each client's specific needs, listen to what they are saying, and design a program that will work for that individual client. You cannot place every person's financial goals into a single mold, or plan." Kathleen is a member of The American Society of CLU & ChFC and PACE, and the Investment Advisory Committee. She represents Cowan Financial Group in the St. Johns County Chamber of Commerce. Kathleen and her husband live in St. Augustine. Her interests include RVing, target shooting, nature activities, photography and crocheting.